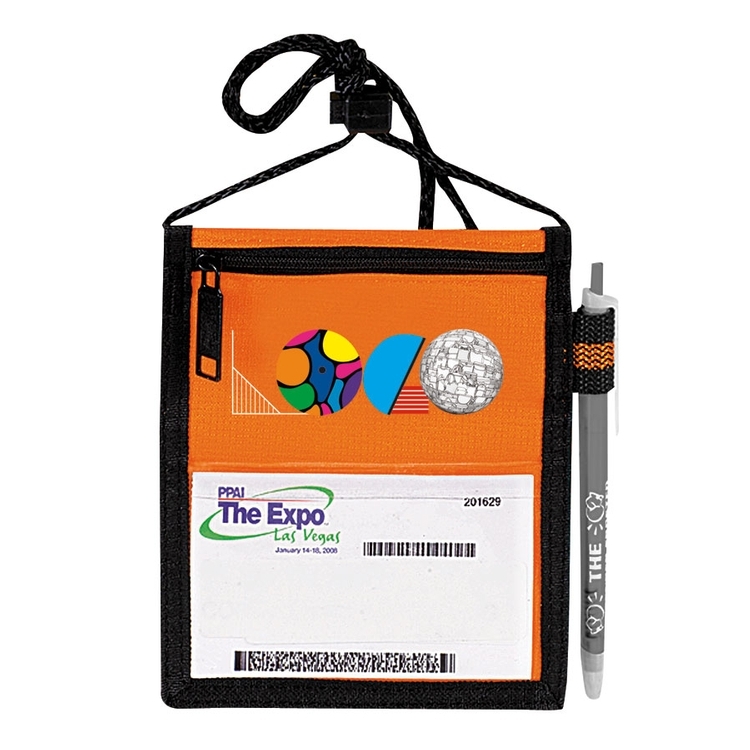 420 denier nylon convention badge holder. 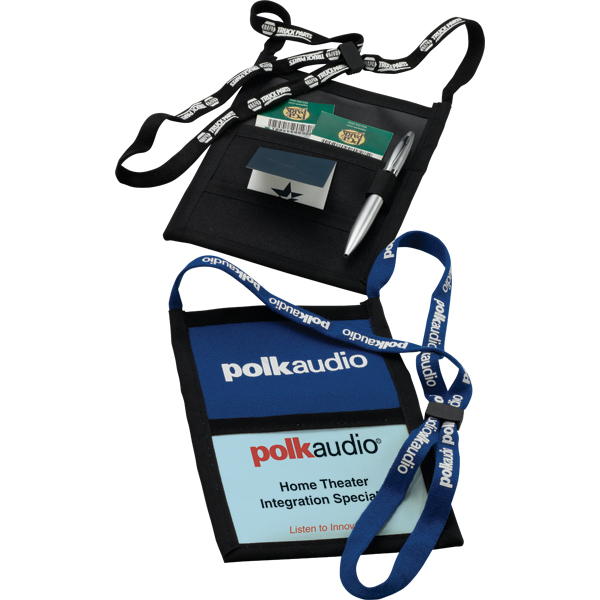 One interior pocket, two exterior pockets, clear PVC badge pocket, hook and loop enclosure, pen slots and adjustable neck cord. 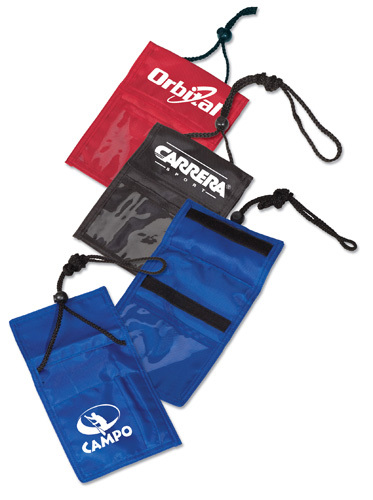 Microfiber Deluxe Neck Wallet/ Badge Holder. 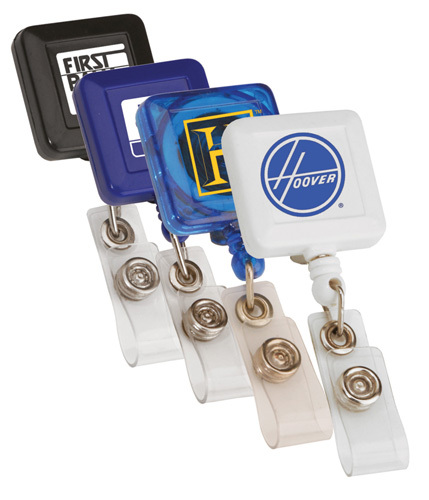 Secure your items in this badge holder. You can fit anything from a cell phone to IDs and even important foldable documents. This wallet not include the clear plastic badge holder. 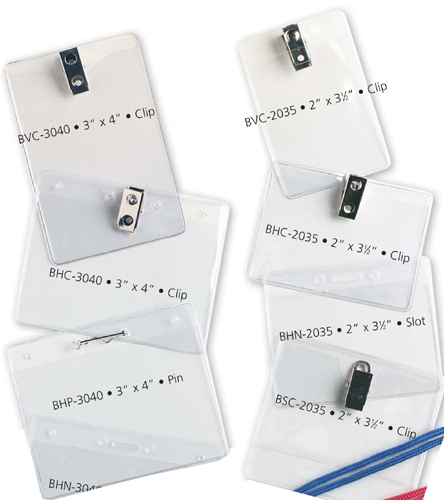 Badge Holders include blank inserts. Additional inserts are available separately. 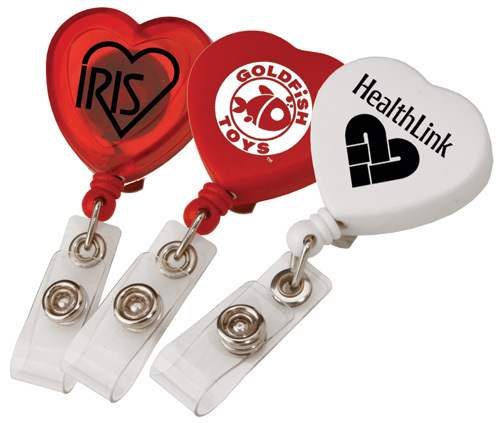 This badge holder features a tag slot, with no fastener attached. 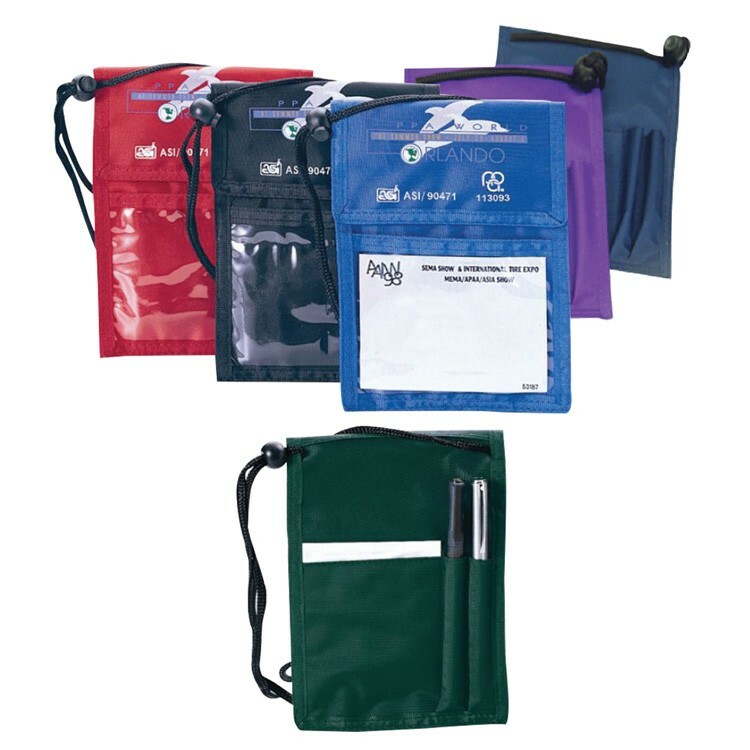 210 Denier Nylon pouch with clear window and opens into a full size wallet. Back side features one pocket for business cards, note pad and 2 pen pockets. - 36" L cord with adjustable ball lock. 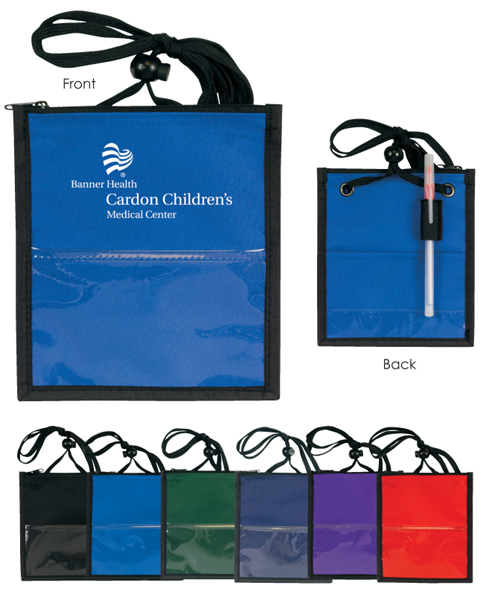 - Insert size: 4-1/4" W x 3" H.
* Cardstock inserts are not included. 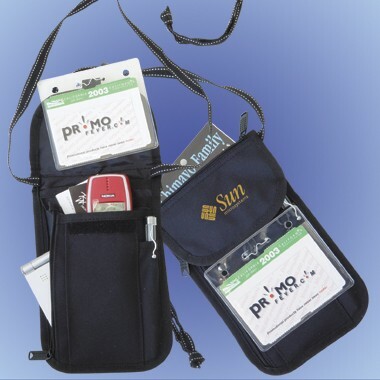 Badge pouch features large back pocket, opens up to a full size wallet with a 3" x 4-1/2" notepad, a pen holder, a clear vinyl window and two small pockets. - 34" L cord with adjustable ball lock. 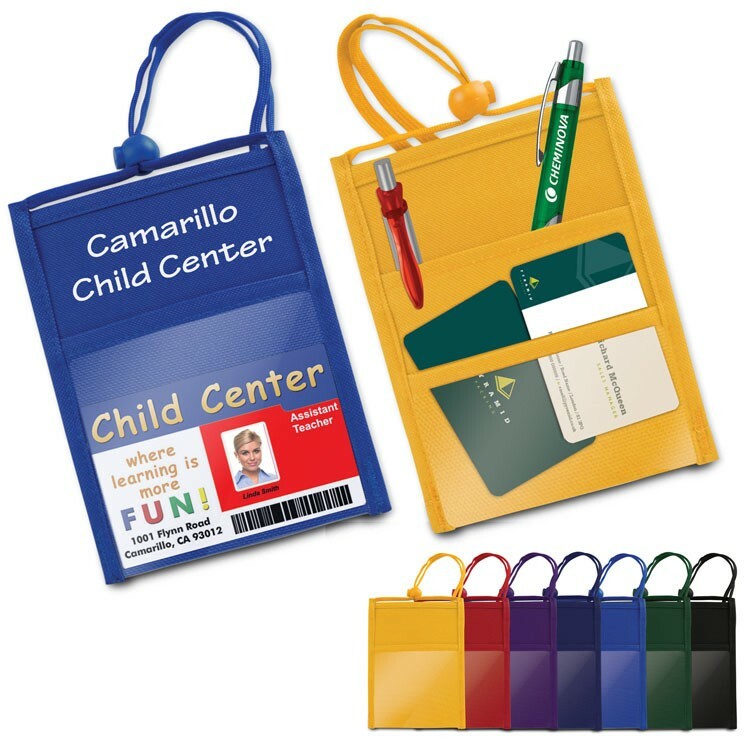 - Insert size: 3-1/2" W x 3-1/2" H.
* Cardstock inserts are not included. Pen sold separately. Black pouch with 3/8" lanyard and adjustable ball lock. Badge window and pen loop on the front with a full length zippered pocket on the back. 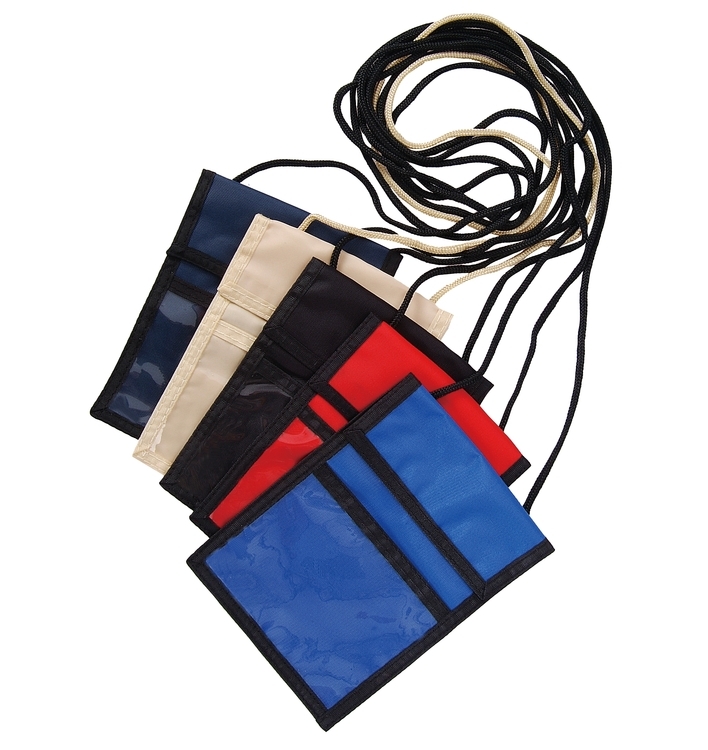 - Insert size: 4" W x 3" H.
PROMO BADGE HOLDER / NECK WALLET Material: 70 Denier Available Colors: Black, Red, Teal, Navy, Royal Blue Zipper top opening. Clear window on top for badge display. Adjustable strap using push button lock. 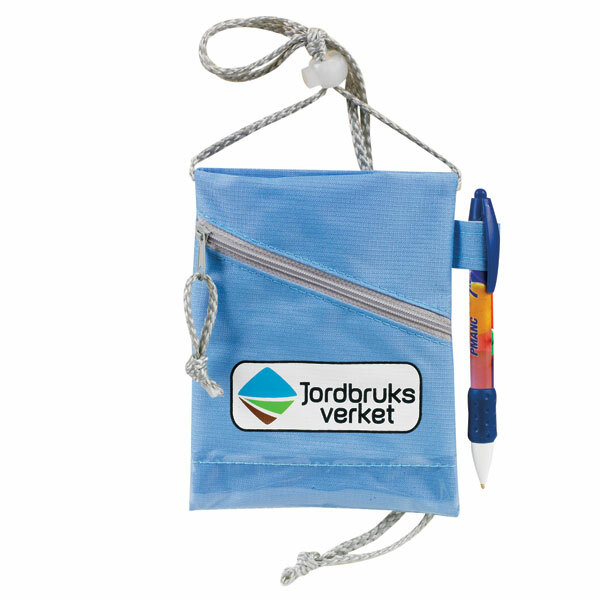 Features a clear name badge slot and knitted cotton straps with length adjusting slider. 2 pockets and pen holder on back side. SnugZ USA is a QCA accredited company. - Includes a snap badge holder. - Clip on the back. * Badge pouch sold separately. 420 denier polyester. 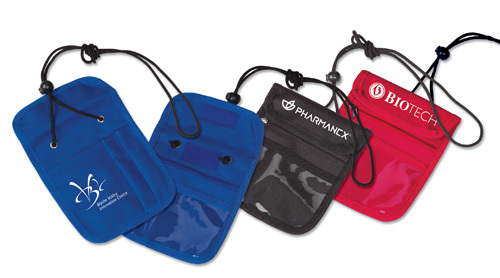 Features two front pockets, clear pouch for ID badge, two pen holders and a cell phone pouch on back. 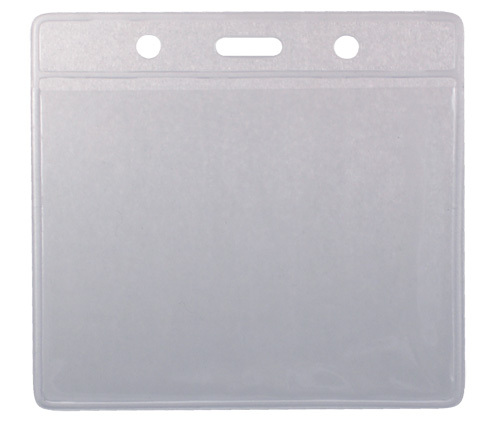 - Insert size: 4-3/4" W x 3" H.
Name Badge Holder: 3" x 3-7/8"
Use a quality vinyl clear badge holder to display your identity on an insert. 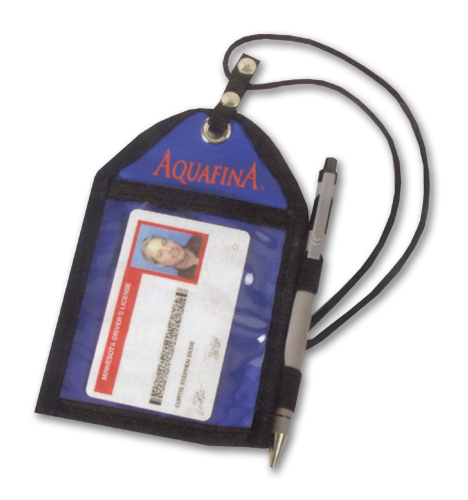 This 3" x 3-7/8" holder has a punched hole configuration in the pocket for use with an optional lanyard attachment. Fits insert sizes 2-1/8" x 3-3/8" or 2" x 3-1/2". Inserts not provided. 600 denier polyester. 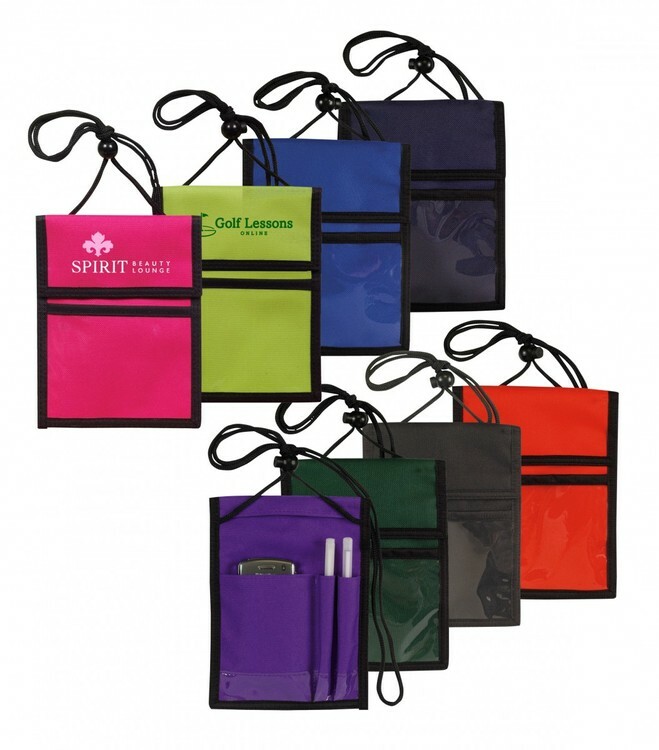 Features clear front pouch for ID badge, zipper pocket for valuables, two pen holders and a cell phone pouch on back. - 42" L cord with adjustable ball lock. 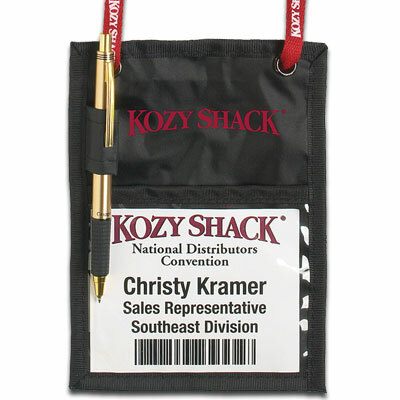 - Insert size: 4-3/4" W x 2-1/2" H.
Name Badge Holder with Clip: 2-3/4" x 3-3/4"
Use a quality vinyl clear badge holder to display your identity on an insert. 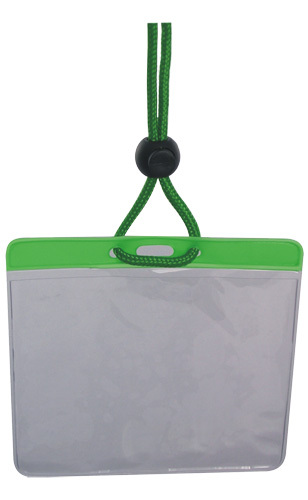 This 2-3/4" x 3-3/4" holder has a clip attachment for ease of use and display of insert information. 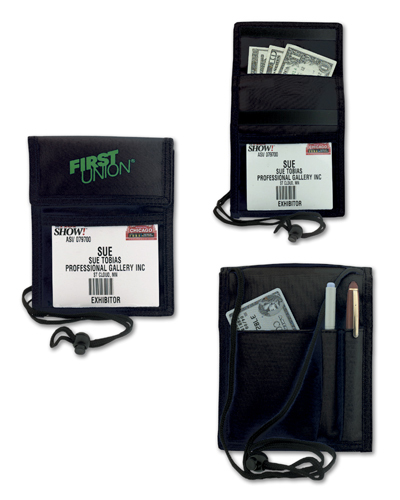 Fits inserts 2-1/8" x 3-3/8" and standard business cards (2" x 3-1/2"). Inserts not provided. 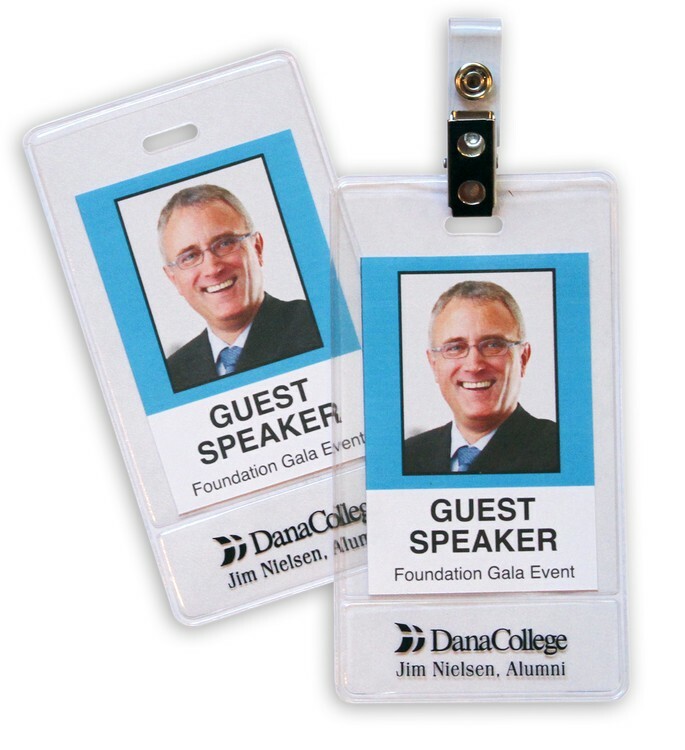 •600D Polyester with PVC Backing •Imprint Area: 3 1/2" x 2"
Badge display. Back pocket and two pen holders. 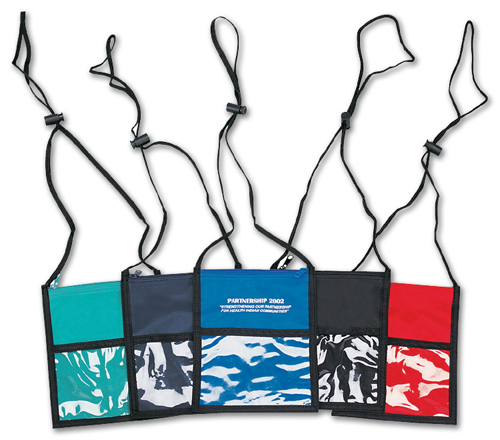 Fold over hook and loop closure and break-a-way lanyard. 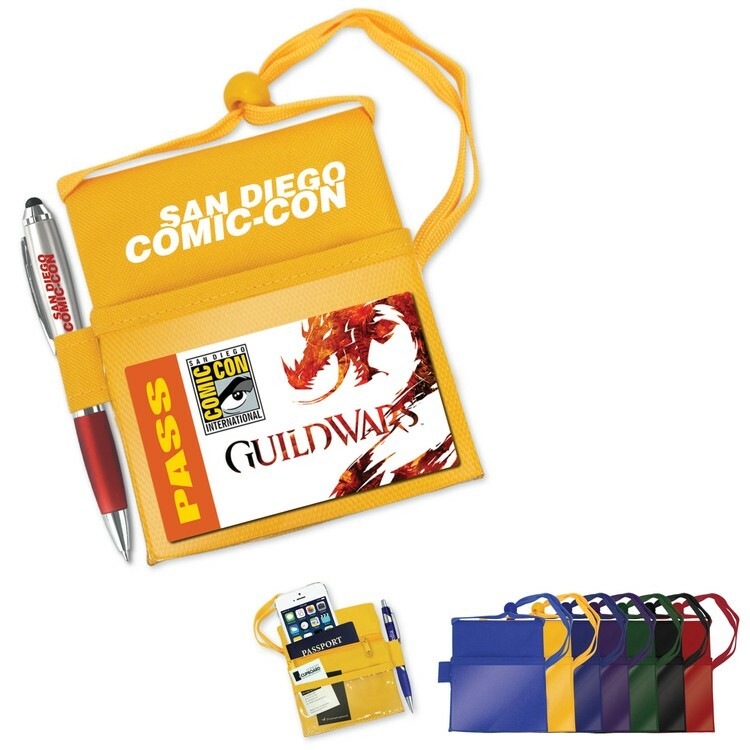 Actual size is 6-1/2"h x 4-3/4"w.
Badge pouch features back pocket and pen holder on the side with ball lock. - 30" L cord with adjustable ball lock. 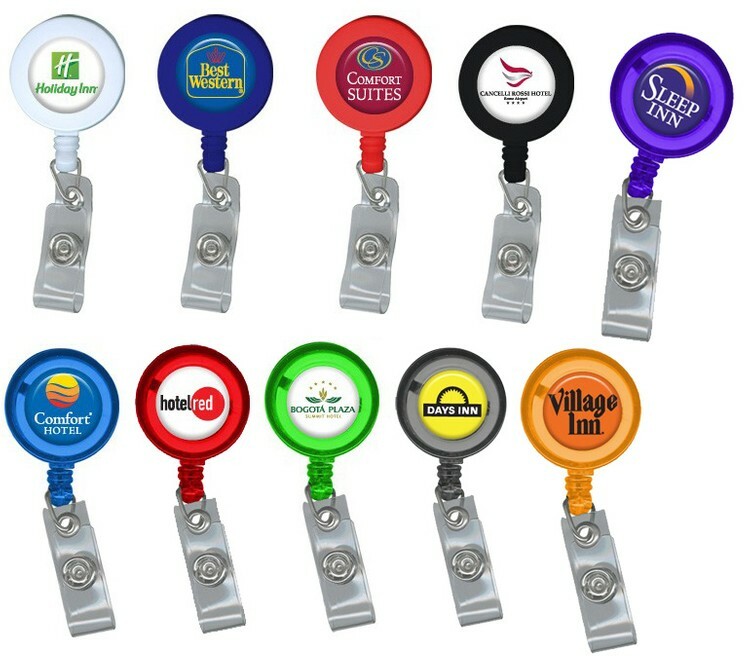 - Window size: 3" W x 3-1/4" H.
- Insert size: 3" W x 3-1/4" H.
An attractive multi-color selection of neck lanyard attachments compliments this clear, high quality, vinyl badge holder. Create your own inserts. 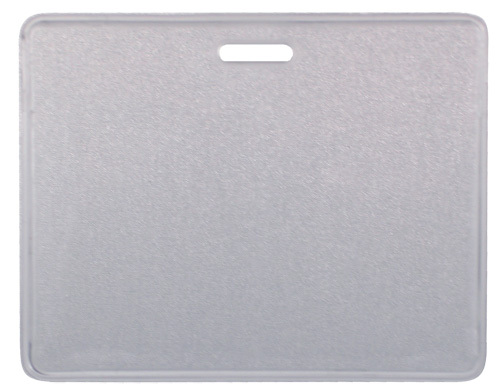 Use a quality vinyl clear badge holder to display your identity on an insert. 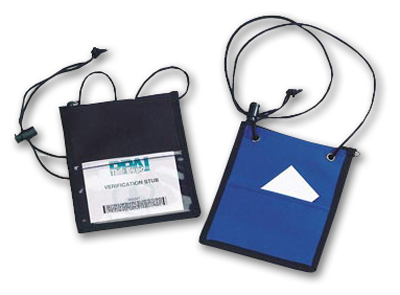 This holder has a punched hole configuration in the pocket for use with an optional lanyard attachment. Fits inserts measuring 3" x 4". Inserts not provided. 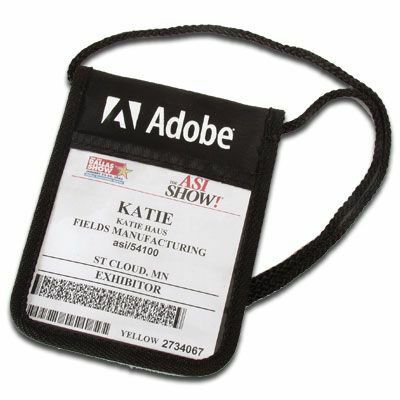 Handy 600D polyester badge holder. Adjustable neck cord with zippered pocket. 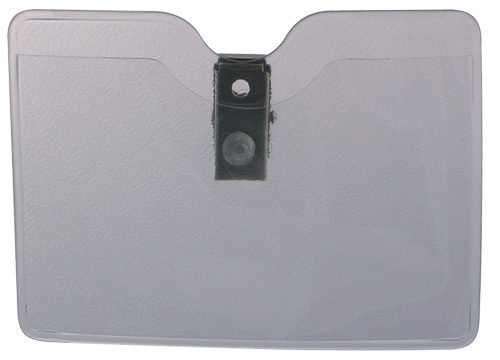 Clear back pocket card holder with pen loop. VibraColor® full color process available. Color match zipper on the vegas neck wallet. Pen sold separately. 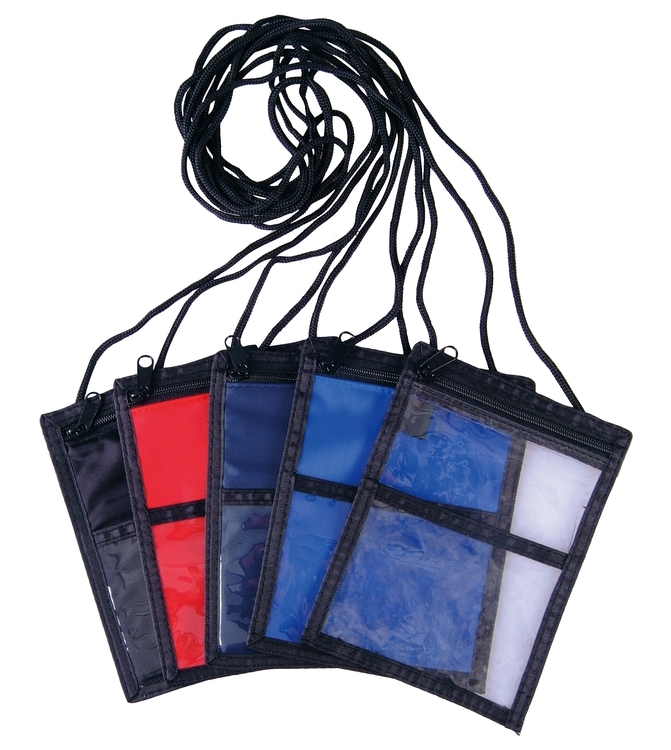 SIMPLE BADGE HOLDER / NECK WALLET Material: 600 Denier Available Colors: Red, Navy Blue, Royal Blue, Black, Forest Green, Purple. 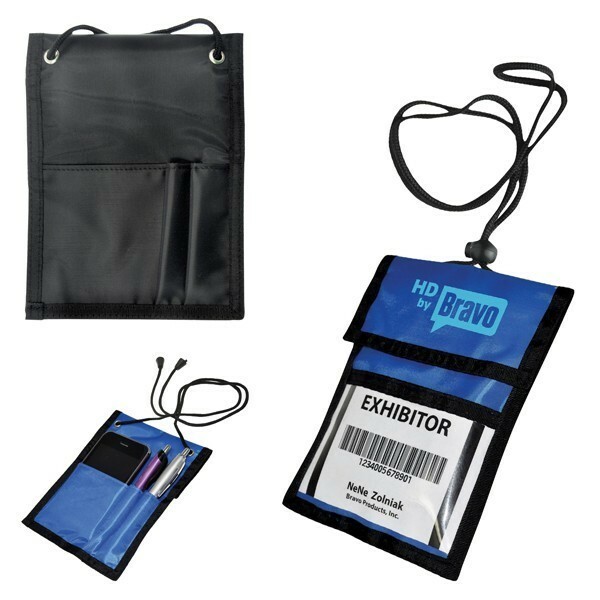 Zipper top opening, large main compartment, clear PVC front pocket for badge, rear open pocket and pen holder, adjustable strap, vinyl strip for trade show ribbons. Perfect for trade shows and conventions.